People with narrow feet often have trouble getting their feet to fit regular shoes. With only certain styles available in extra narrow, regular width shoes often slip and slide and even fall off altogether. In addition, narrow shoes can be more expensive to order and a hassle to procure. 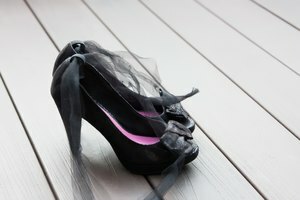 Luckily, there are some great tricks that those with narrow feet can use so they can wear any style of shoe they wish. 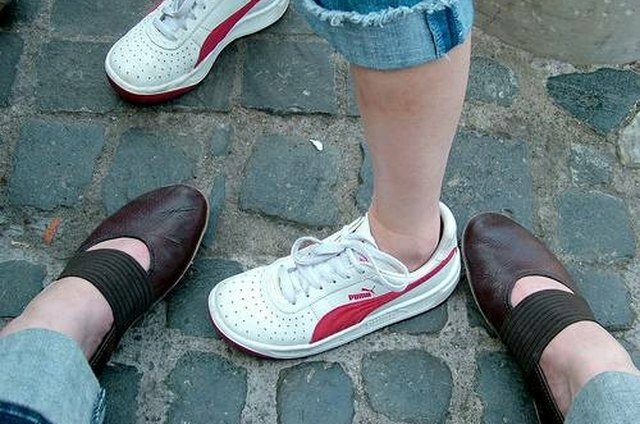 Tying your shoes extra tightly can cause circulation issues and your feet to fall asleep. Reinforcing your laces with special lace reinforcing products (available at any shoe store) work. A free alternative is to reinforce your laces between the second and third eyelet on your shoes. Do this by crossing both laces horizontally to the other side on the third eyelet so that your shoes will stay in place. Continue lacing as normal. It can be also helpful to buy lace up shoes that have one extra eyelet toward the tongue. This can provide extra stability and reinforce your stance. Gel inserts and pads that stick inside your shoe at the ball of your foot work well. These products lift your foot up just a little bit, making your shoe fit a little bit more snugly. These can be purchased at virtually any drugstore or supermarket. While arch supports can cost a pretty penny, you can purchase cheap ones at the drugstore or supermarket. You can stack one on top of the other to take up extra room in your shoes, making them fit. In addition, you can also cut strips of rubber to fit your shoes, or place directly under your arch to prevent slippage. If the back of your foot is slipping around in your shoe, it can be helpful to purchase a heel insert. Available at any drugstore or supermarket, these inserts cup your heel and take up a little bit of room so that you won't be slipping and sliding in your shoes. Do not stuff your shoes with cotton balls, tissues or pointe shoe toe pads. These techniques, while free, can cause quite a bit of pain. In addition, they can slip and slide in your shoe, causing more problems.